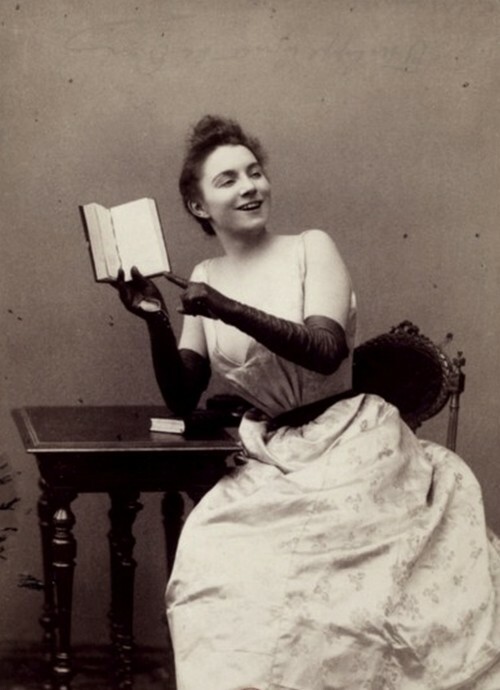 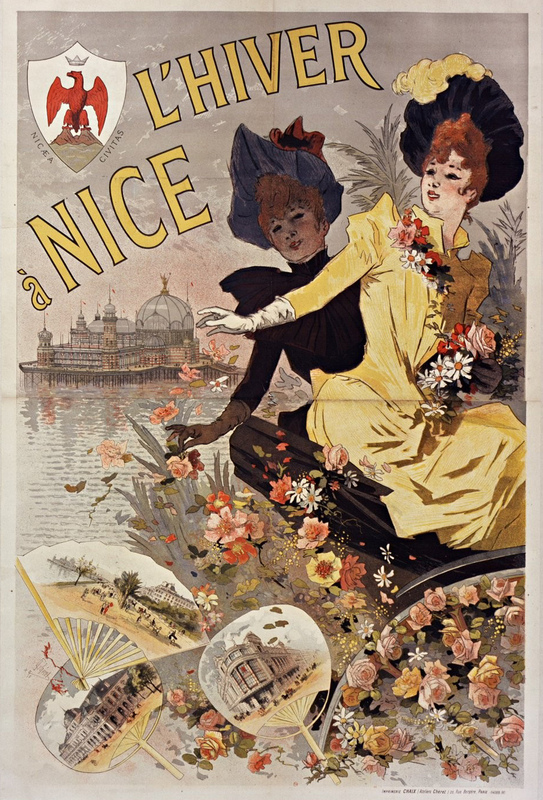 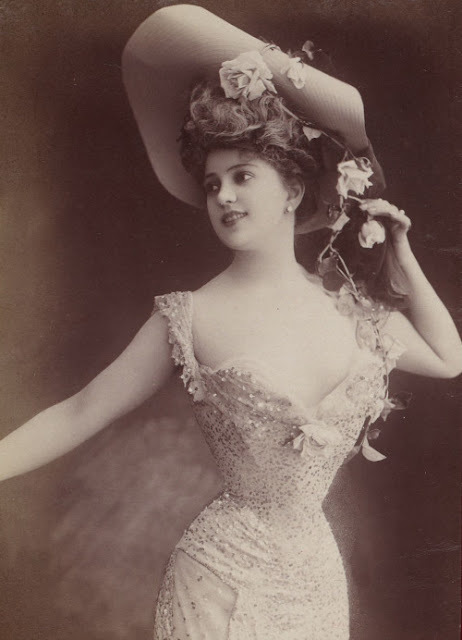 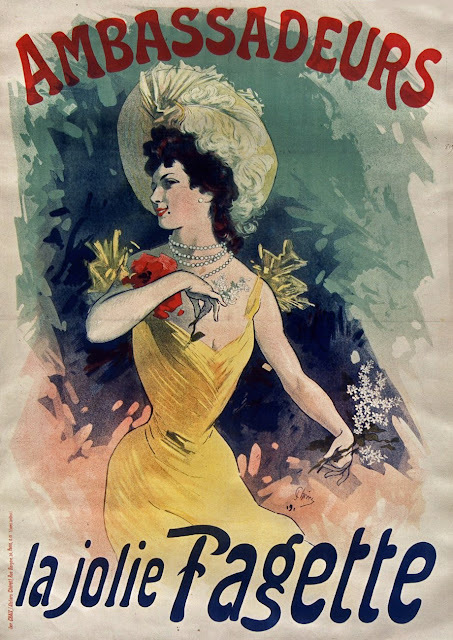 This is part 5 of a 9-part series on art of the Belle Epoque. 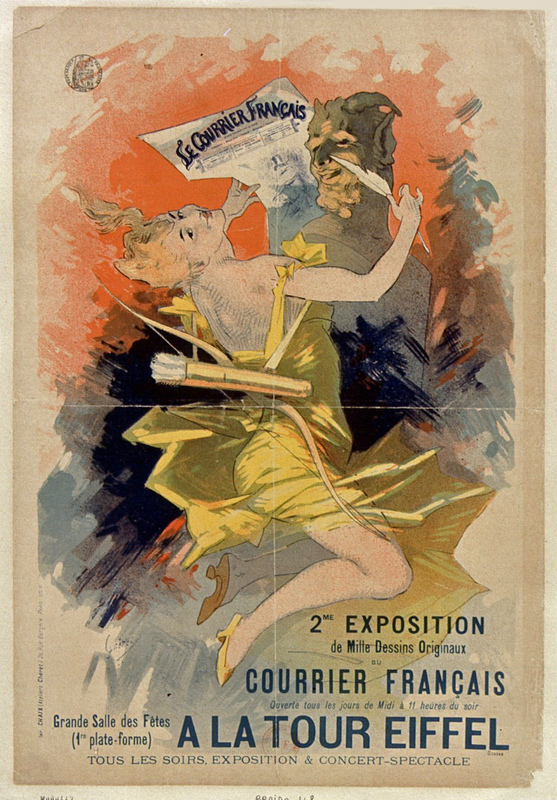 For more works in the series see parts 1 - 4 also. 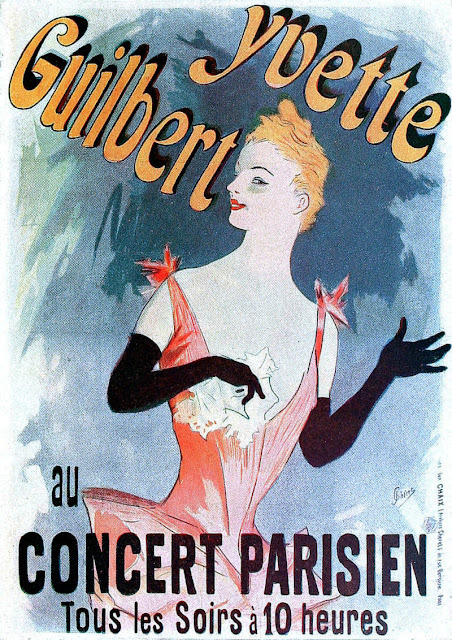 Jules Chéret was born in Paris to a family of of artisans. 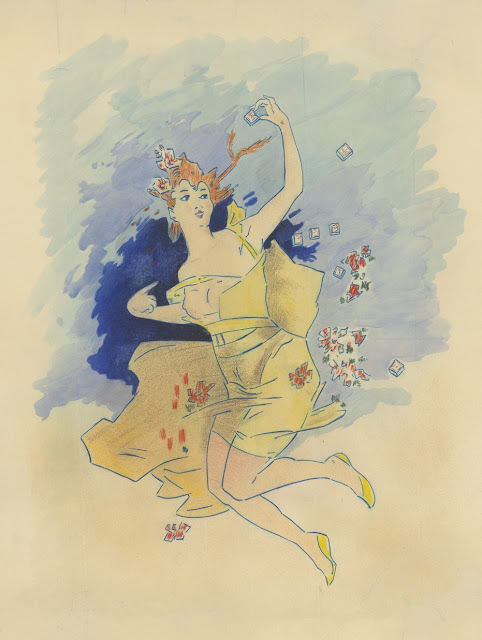 Aged 13 he began a three-year Apprenticeship with a lithographer, after which his interest in painting led him to an art course at École Nationale de Dessin. 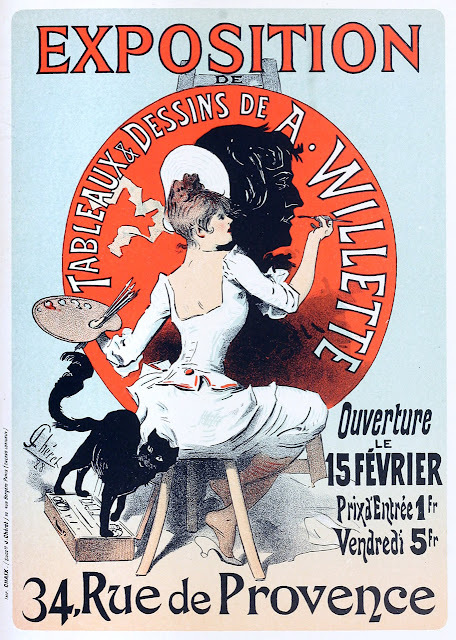 Between 1859 and 1866 he trained as a lithographer in London, where he was strongly influenced by the British approach to poster design and printing. 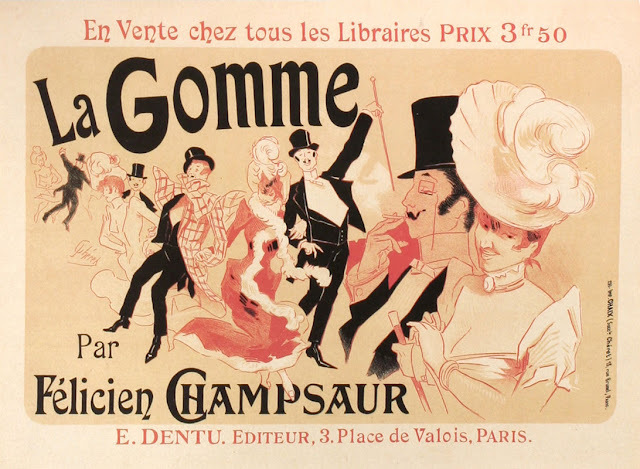 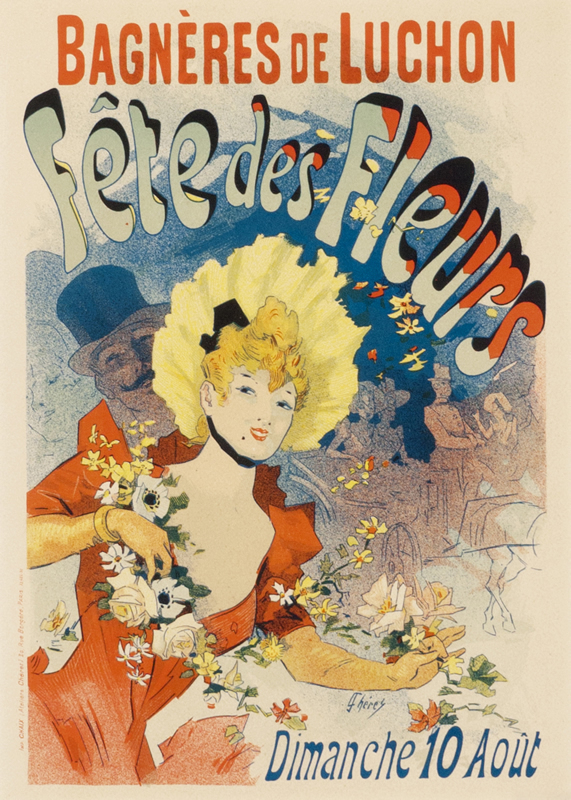 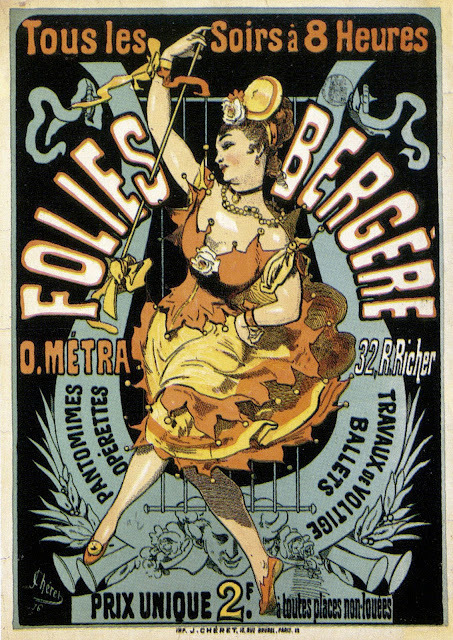 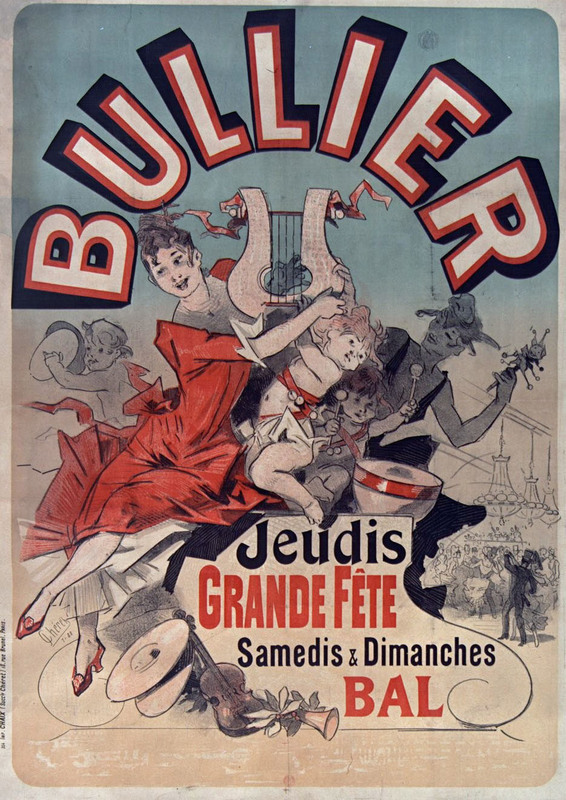 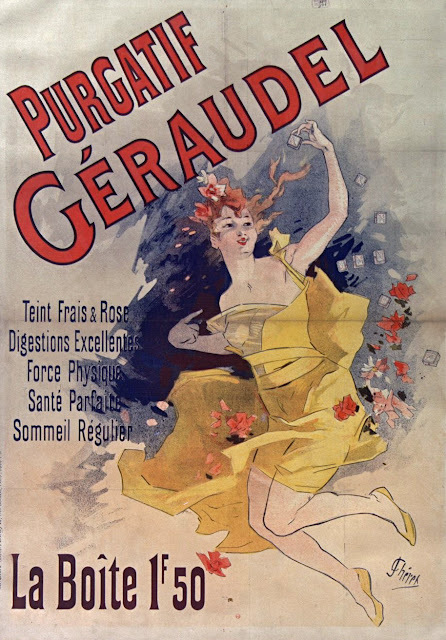 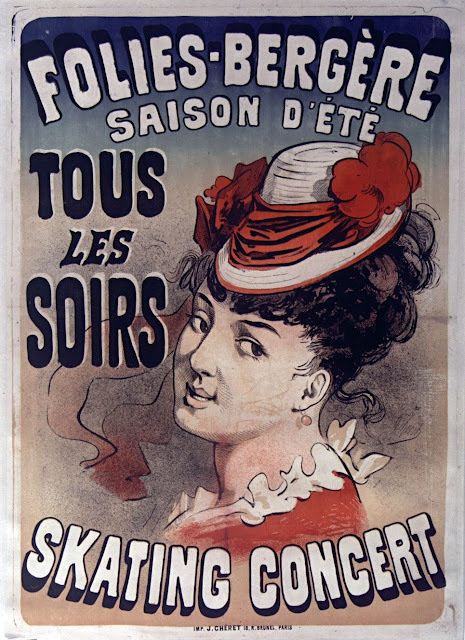 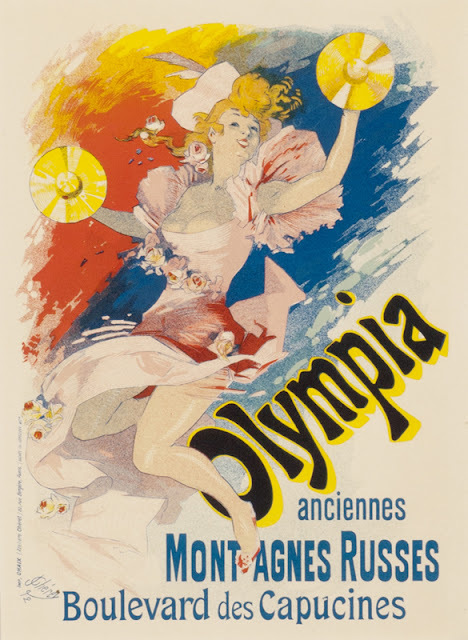 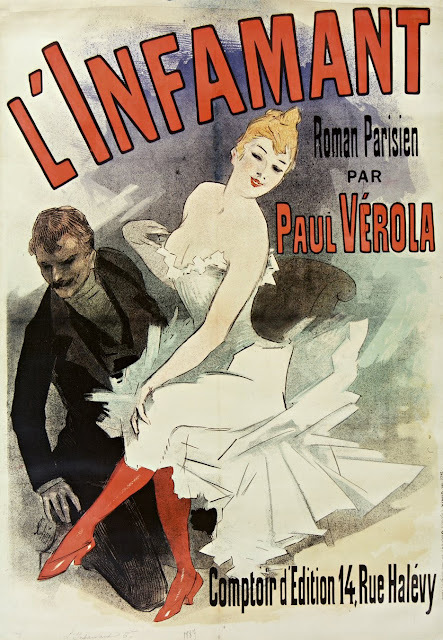 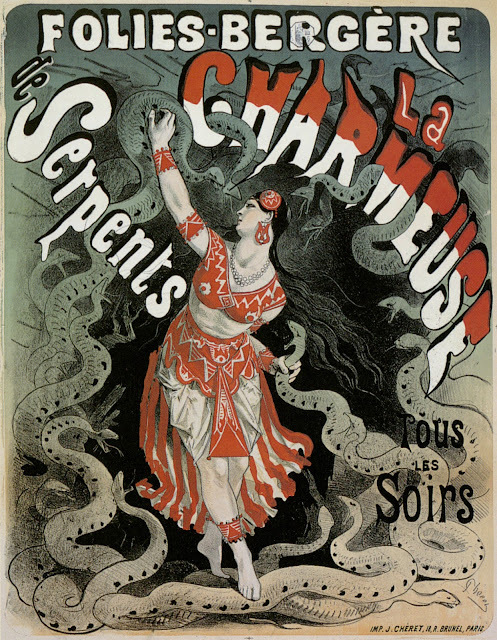 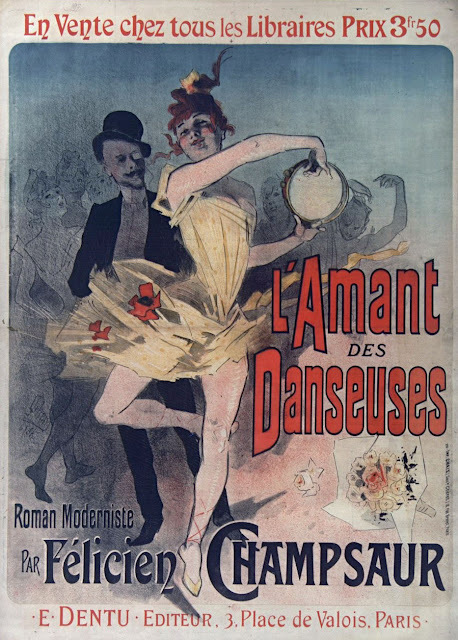 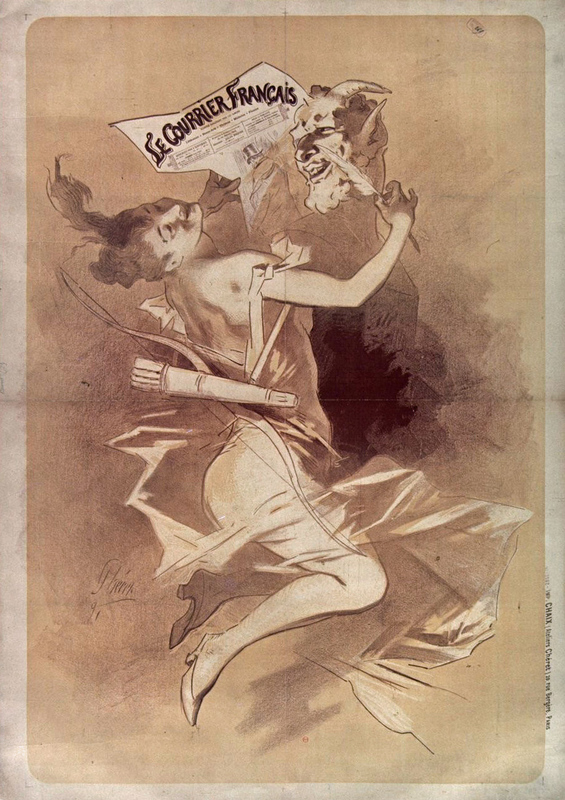 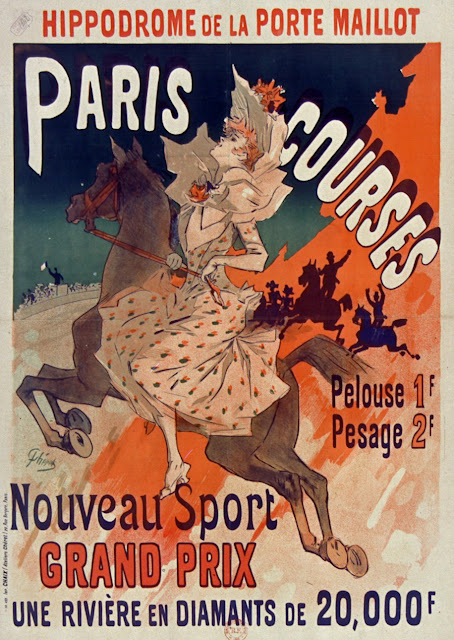 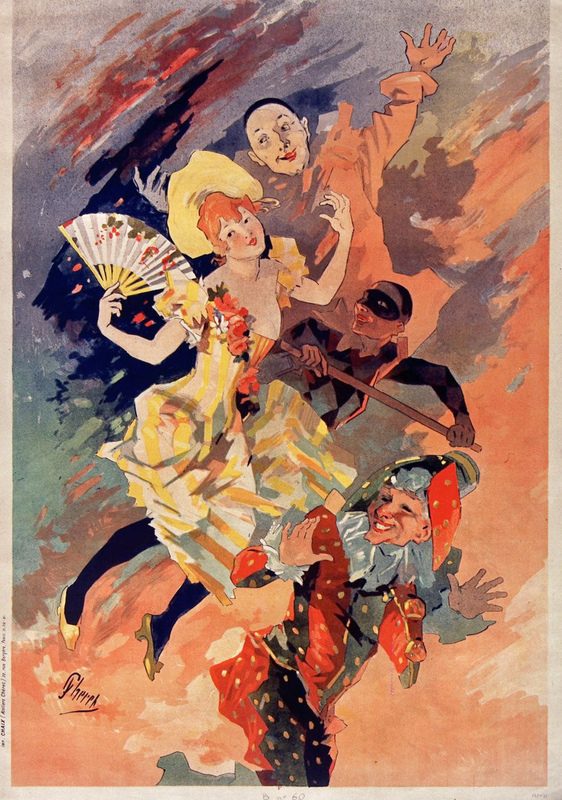 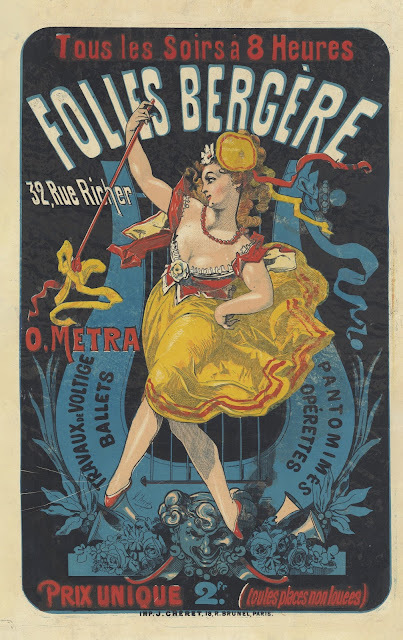 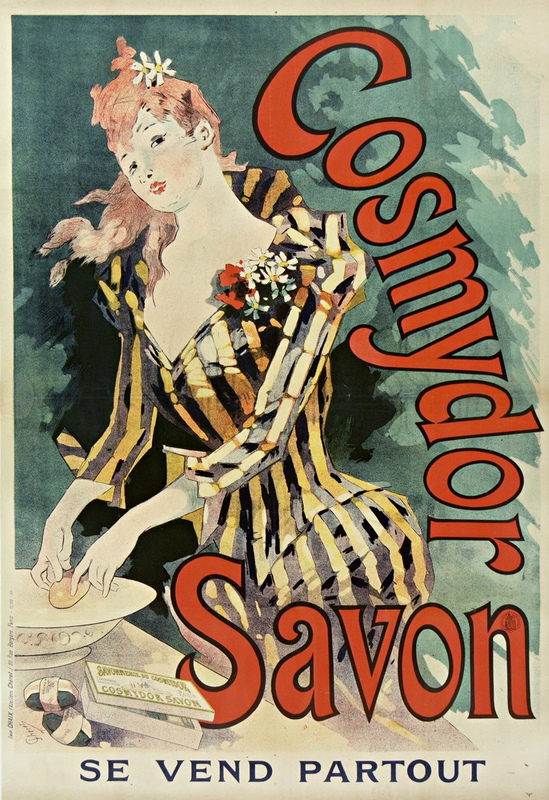 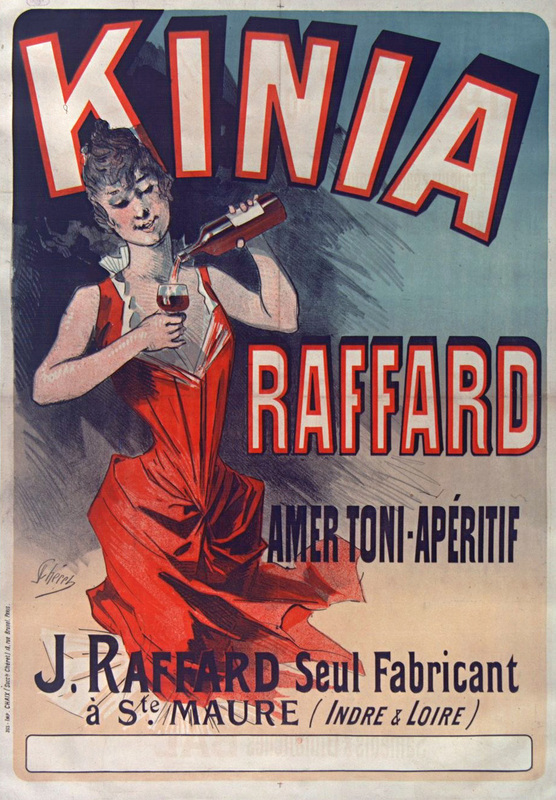 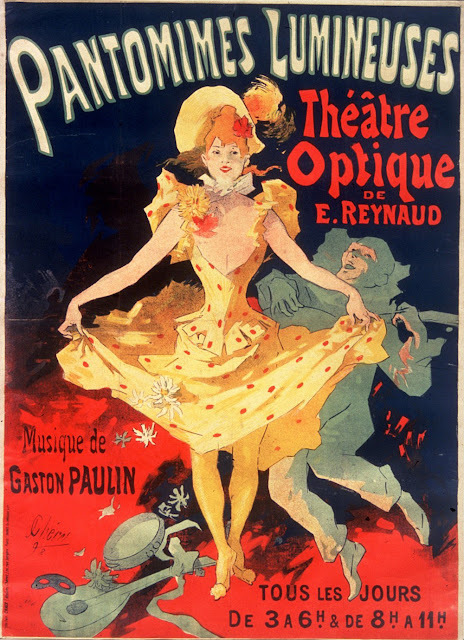 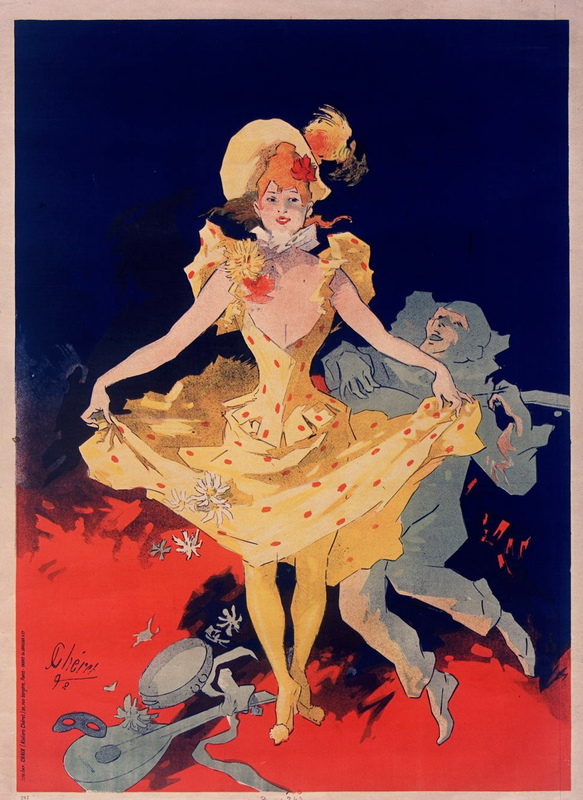 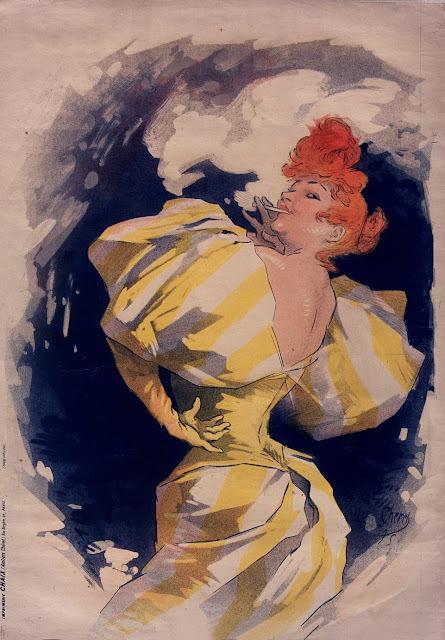 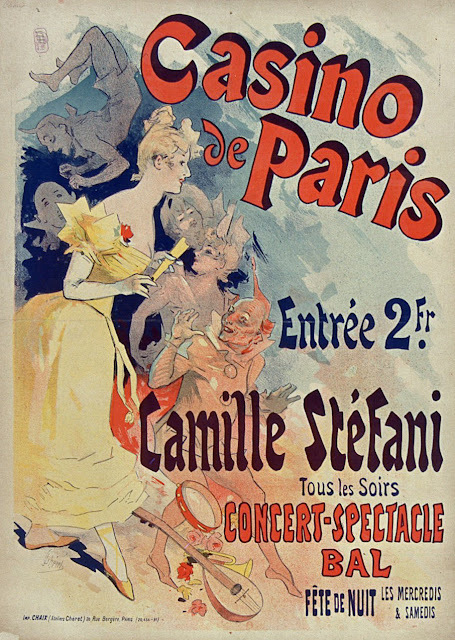 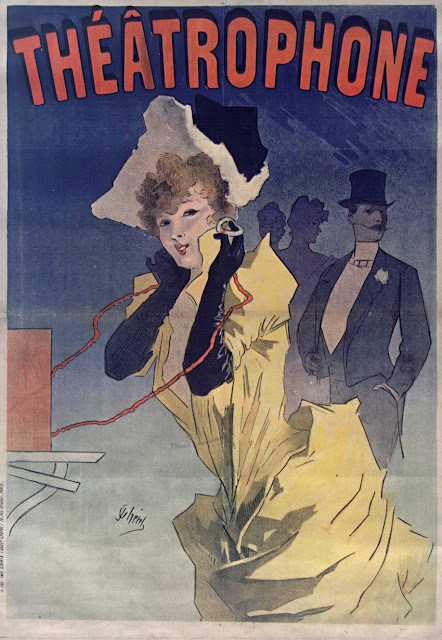 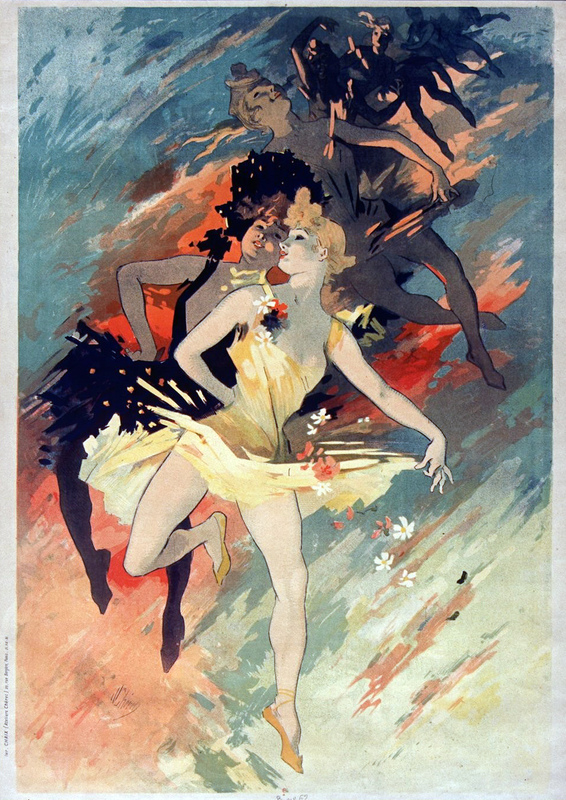 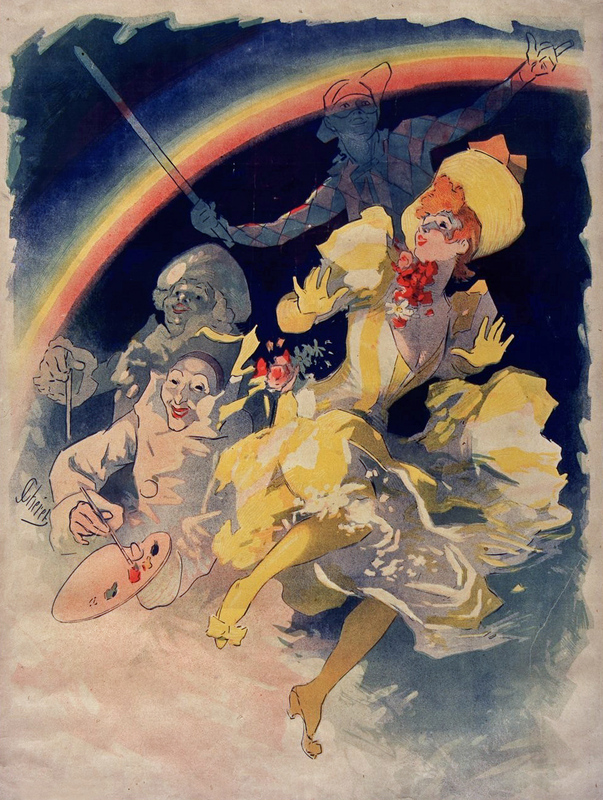 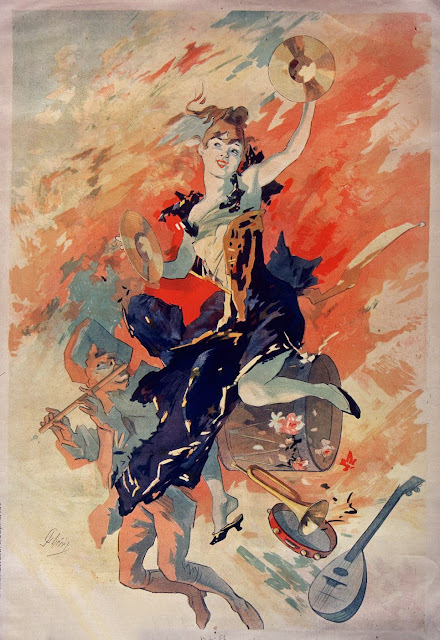 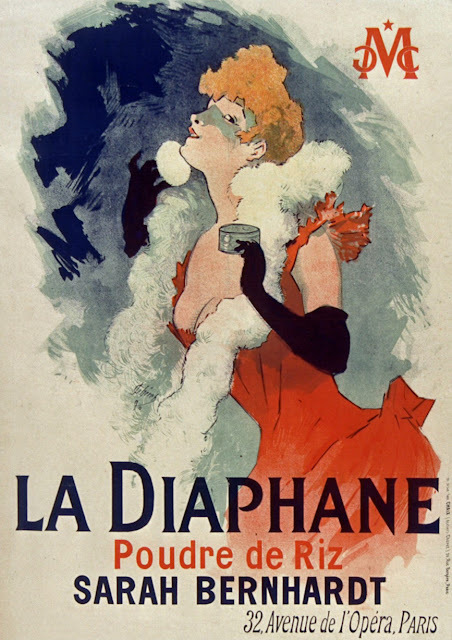 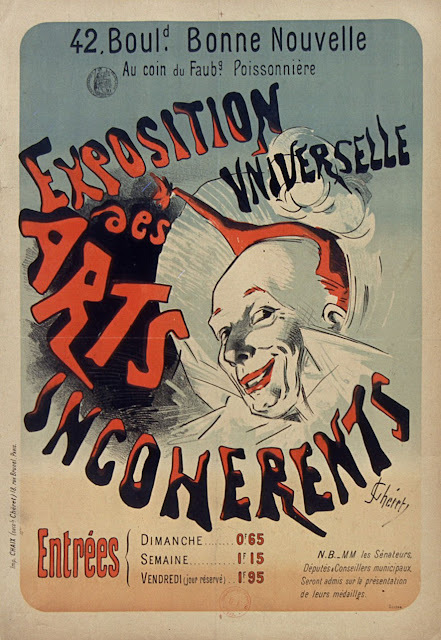 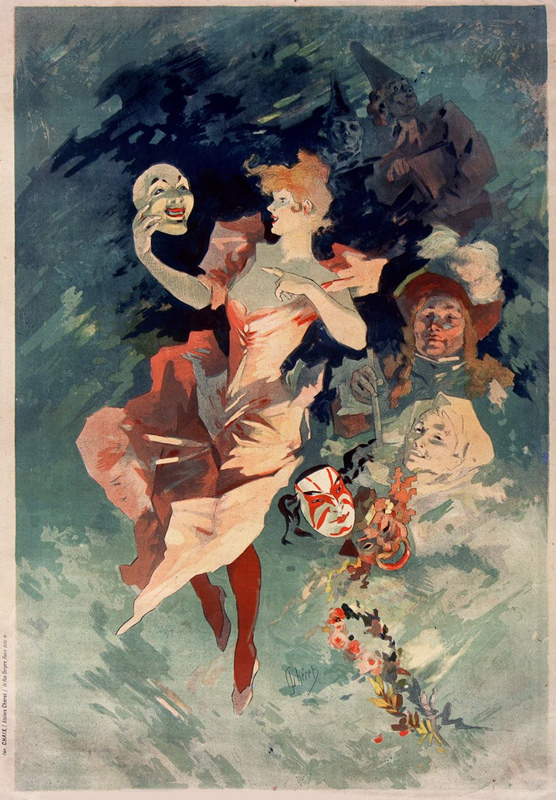 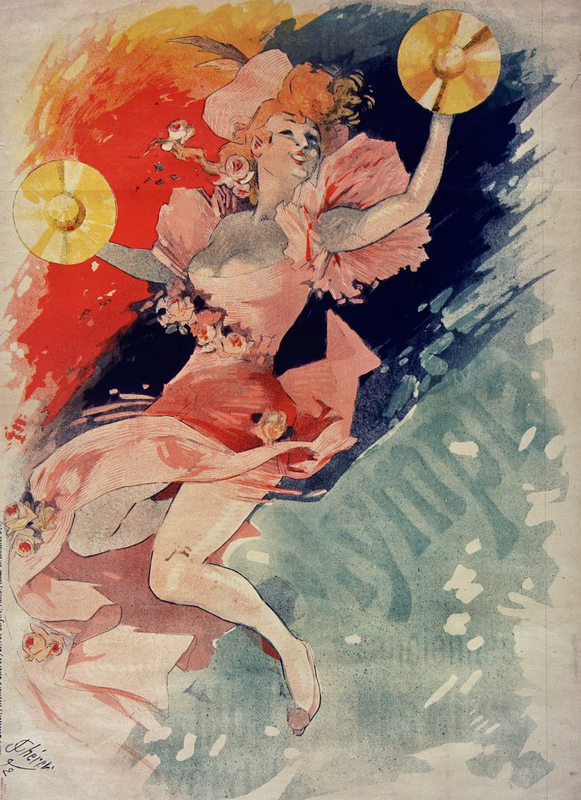 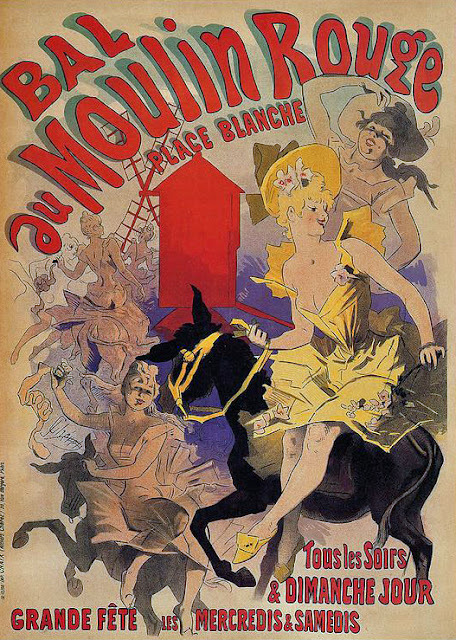 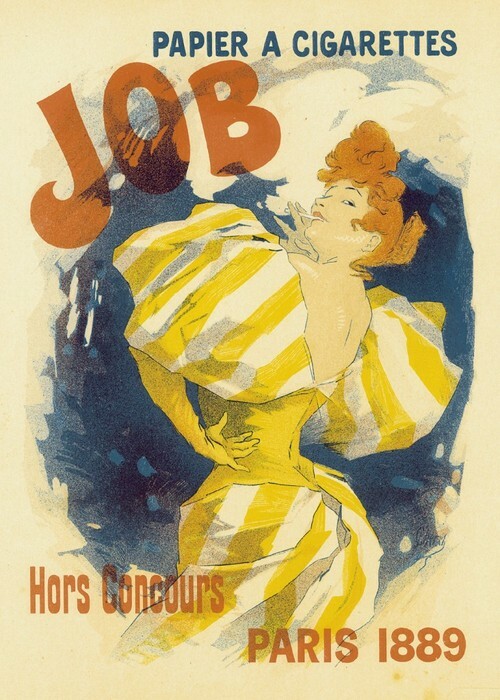 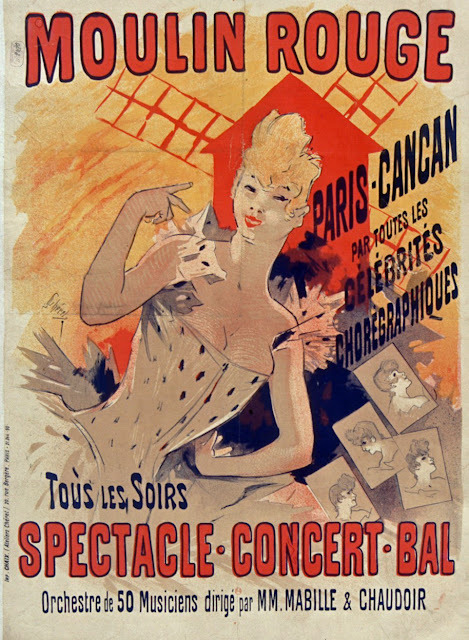 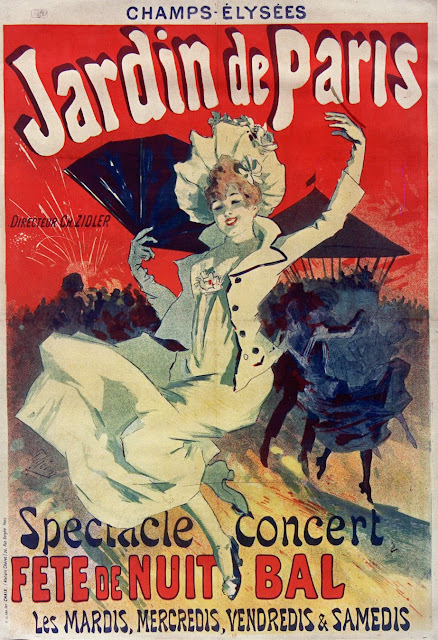 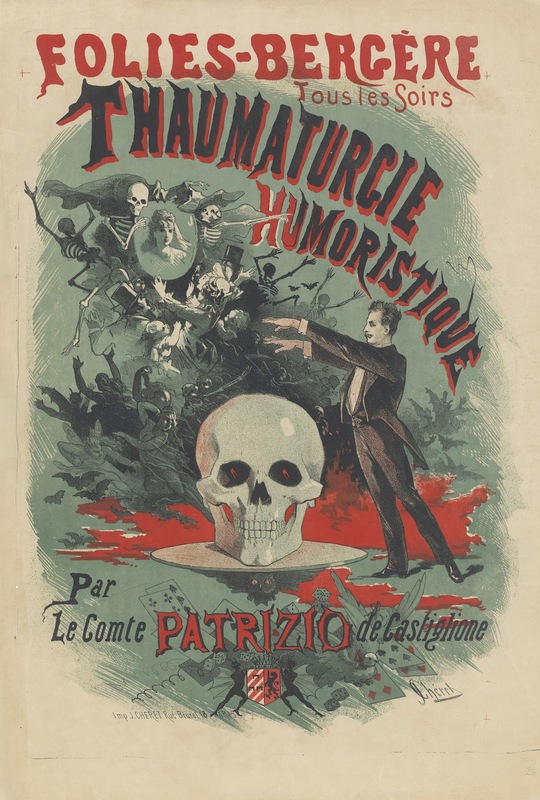 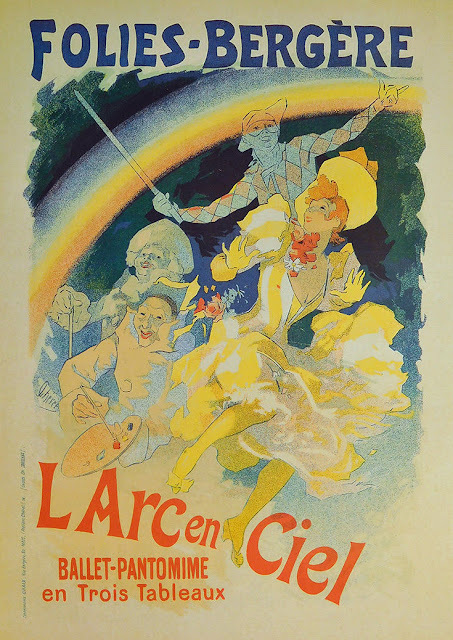 On returning to France he created numerous posters for the theatres and music halls of the day where his work was in great demand, as well becoming a major force in the advertising industry. 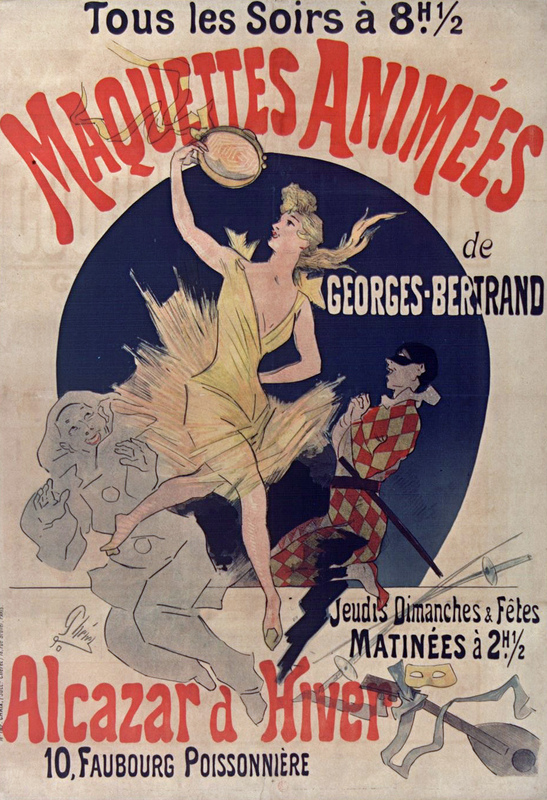 Works by Jukes Cherét continue in part 6.